Glenweave Extra Large Willow Weave Rectangular Log Basket with Wheels & removable hessian liner: Length 68cm x Breadth 42cm x Height 52cm approx. Hand woven willow log basket, made in the design of an old fashioned laundry basket with traditional style castor wheels. 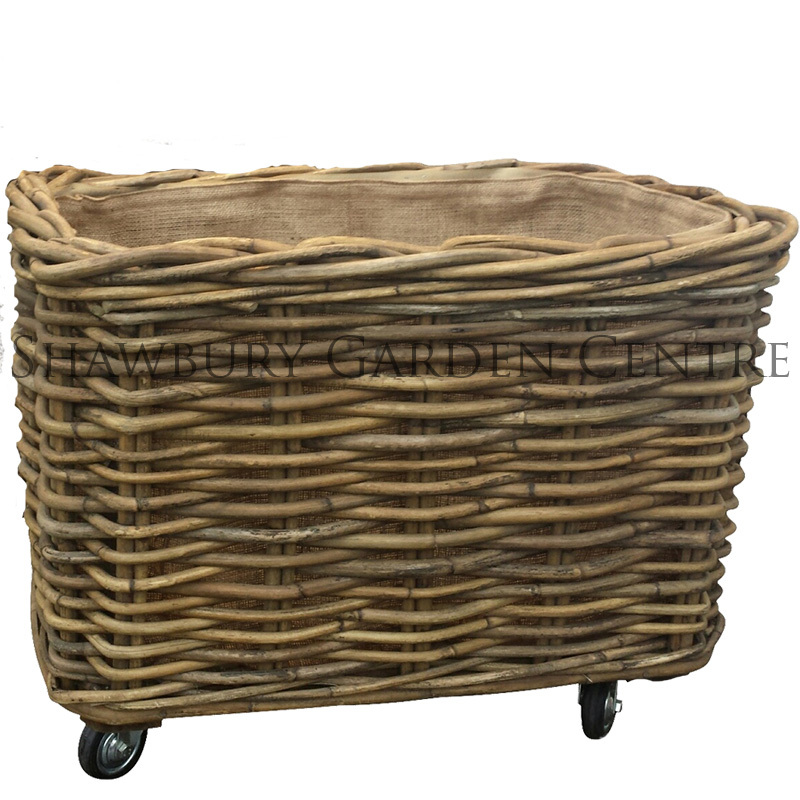 If you would like further information about Rectangular Log Basket with Wheels, please contact our garden centre at Shawbury just outside Shrewsbury in Shropshire, by calling 01939 251315 or emailing.